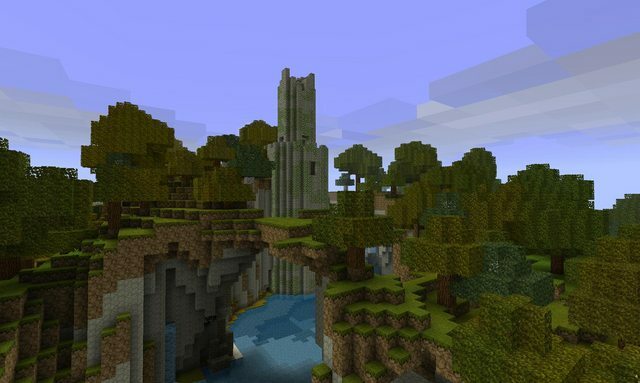 MCDungeon will create a procedurally generated dungeon in a preexisting minecraft map. It is not yet feature complete, but can already generate dungeons with quite a bit of variety. 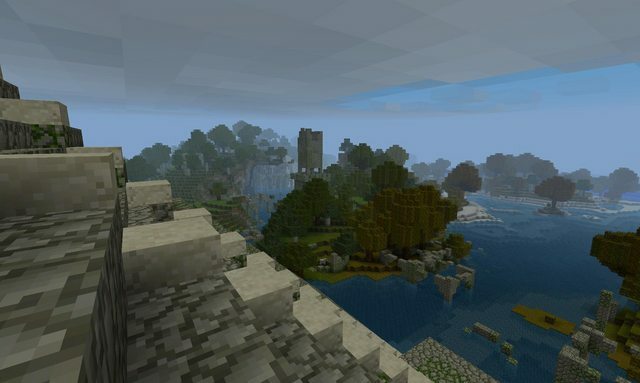 It is written in Python and makes use of code from Paul Hodge's minetown project and codewarrior's pymclevel.I primarily use this for SMP and multiworld via Craftbukkit and MultiVerse. But it works just fine in single player too.Thanks to the following for their interest, inspiration, and great ideas! (in no particular order)BeeTLe BeTHLeHeM, codewarrior, Link1999, SoNick, Commander Keen,Yelik, NoiGren, whoiscraig, ChocolateySyrup, Sevminer, AnderZ EL,SuddenLee, Silre, NuclearDemon, bking1138, BarthVader, koredozo,janxious, compgurusteve, and JiFish. 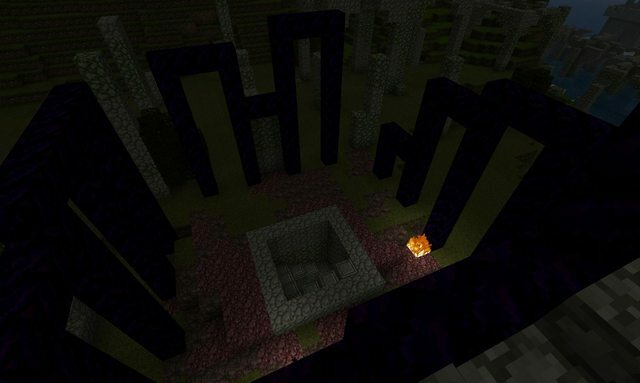 A "hard mode" that will attempt to fill in nearby natural caves in an attempt to concentrate random monster spawns inside the dungeon. Places mob spawners throughout the dungeon. These will likely be near chests, but not always. Mob types are configurable. The density of spawners is configurable. 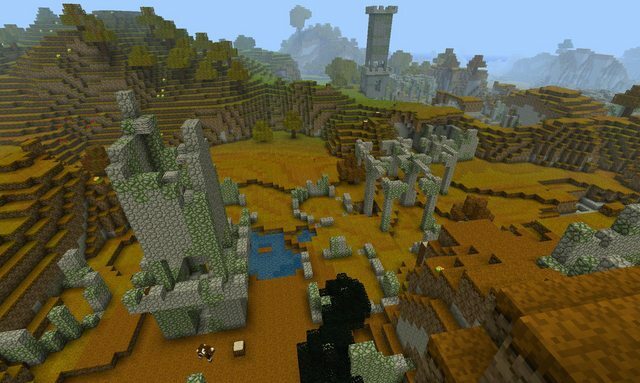 Some 'non-standard' mobs are available. Other things I've left out to avoid spoilers. 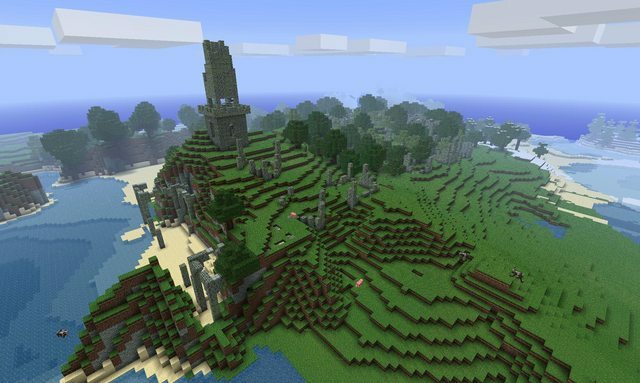 This tool will write data to your minecraft maps and may destroy them! MCDungeon will attempt to avoid player structures, but there is no guarantee. NEVER run this against a map that is currently loaded into Minecraft! Make Backups! Work with copies! I'm not responsible if it destroys your 120+ hour Justin Bieber pixel art! A clear description of the problem you are seeing. Download the latest version from the official MCDungeon site. Looks really good! i can't wait for release. If you need a tester, I'll be happy to help! EDIT: Bookmarked. Can't believe i forgot to. This looks absolutely impressive. Keep up the good work! I'm free to help as well, if necessary. Good luck! 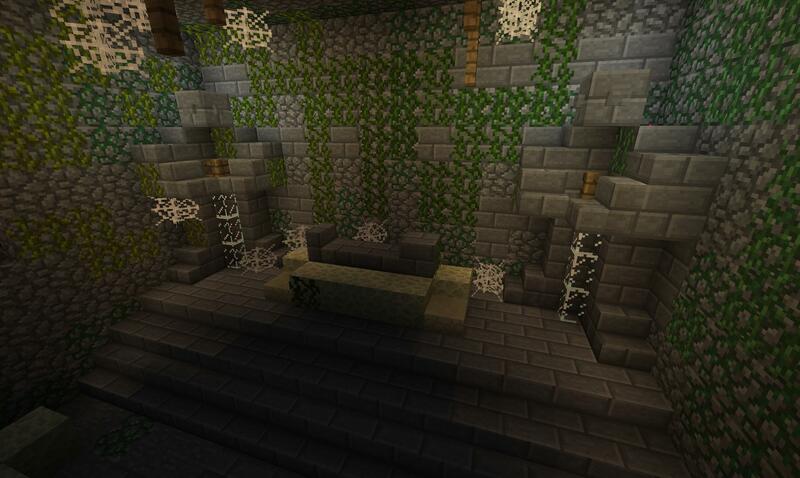 These dungeons are gonna be awesome! As a fellow fan of MCMapper I must say that I, too, am excited for the release of this tool! No problem! I've tested on Python 2.6 and 2.7. My recommendation right now will be to use 2.6, as the depedencies are a little harder to deal with under 2.7, especially under Windows. In fact, Windows is such a PitA, I'm looking into distributing a standalone version built with PyInstaller. Python 2.6 or 2.7. I've tested on 2.6.6 and 2.7.1. For Linux users, if you can find these in your disributions package repo, I'd recommend installing them from there. Noise is probably the only one that would need to be manually downloaded under Debian/Ubuntu. [*:24ptj3d7] Install Python. Make sure the python command is in your path. [*:24ptj3d7] Make sure the mingw bin folder is in your path. Does this use pre-defined rooms and link them together? or does it generate the rooms dynamically? Vault style definitions similar to Angband vaults would be cool. It's more like Angband style vaults. There are no schematics or predefined rooms. 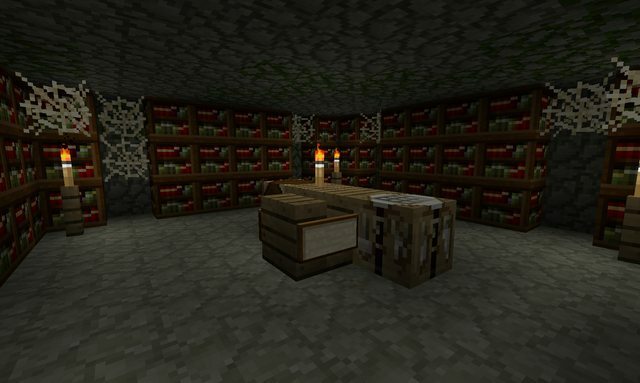 Rooms are constructed dynamically by randomly selecting different room shapes, floor styles, room features, traps, etc and then connecting them with halls, and stairwells. In the spirit of Minecraft I wanted everything to be procedural. You can affect certain aspects of the dungeon and frequencies of features via a config file. Please backup your maps! Good luck, godspeed, and let me know what problems you encounter. This is cool but I'm not really familiar with command prompt... Things. It says 'mcdungeon.exe' is not recognized as an internal or external command, operable program or batch file. Hm... The EXE version doesn't appear to work; I can't even get it to produce an HTML output. The python version, however, appears to be working fine; I've been playing with the options a bit and the maps are kind of interesting! 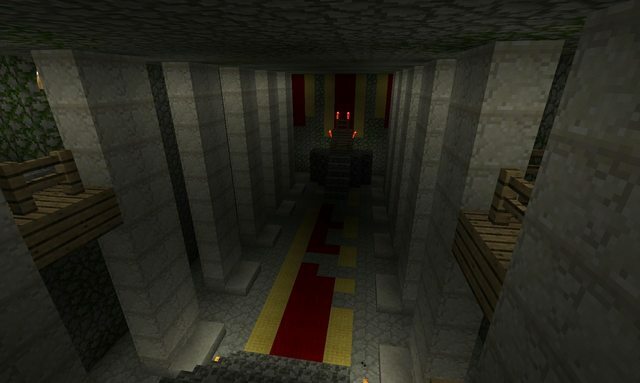 As of this post I have yet to be sure it will successfully write to a world, however; I'm going to play with the config files until I get a decent idea of how to get dungeons I like then I'm going to test that out and do some dungeon-crawling! Ahh Angband does both dynamic, and the vault system lets you have 'preset map configurations (templates)' that are sometimes loaded in too. I was wondering if you would be able to allow mixed dungeon generation with both vaults (maybe a % of the rooms created are 'vaults'). Vaults are usually the special rooms in the dungeon which is why it's nice to have have them templated as you could put a boss and the better rewards in them. It says 'mcdungeon.exe' is not recognized as an internal or external command, operable program or batch file. What do I need to do? It probably says that because the mcdungeon.exe is not in your command path, which is normal. You have to be sure to be in the directory that contains the file. 1. unzip the contents somewhere. Can you give me details? What happens when you execute the command? What output does it produce? What is your OS? 32 or 64 bit? I've tested it on a couple of systems and it appears to work fine. Although I just figured out that I forgot to include the HTML images in the exe zip file. They are in the python archive. Ah, yes that is true. Right now it's all dynamic, but there are a couple of built-in special "vault-like" rooms. The max tier treasure room at the bottom (always has the best treasure), the MultiVerse portal room, and the entrance room are special rooms that only appear once in a given dungeon. Unless you mess with the config to make them appear more. Some sort of room definition method is something to think about. Maybe using Angband-like definitions would be cool. Is there any way to generate random number of rooms and levels? Not directly... you could script this pretty easy. That would be neat though. Something to add. EDIT: The example line showing how to use it with the appdata folder doesn't work. It works if you have a map folder named "dungeon." Are you getting a particular error? In any case, you're correct about the HTML not working for the reason you specified; it creates the HTML files just fine but they're just sets of broken images. If you still want the data I'm running Windows XP SP 3 32-bit. I also ran into an odd error wherein the program errored out partway through creating a dungeon on my Beta 1.3_01 world. 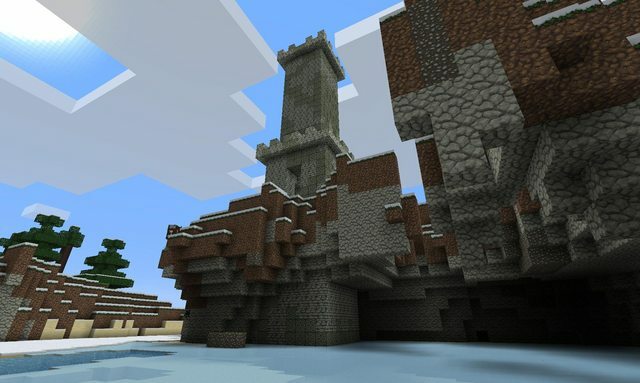 I later found one of the three dungeons I'd generated in the world that had the tower and everything, but after journeying down to the base floor it had roughly five rooms with no steps to go deeper; digging down revealed the bedrock between the floors, and a small bit of wall-digging revealed no additional rooms. 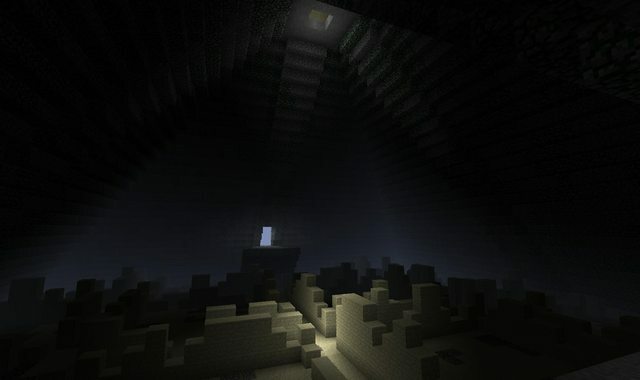 Odds are good that this was my partially-generated dungeon, and I did not get a chance to find the other two dungeons I'd generated before moving all of my Beta 1.3_01 saves to an archival directory to start a new world for Beta 1.4. I will test dungeon generation on my new map, although it -should- work fine as the save format has not changed between Beta 1.3_01 and Beta 1.4 and the HTML output worked fine. I'm actually a little torn here! For testing I probably should generate an HTML file to go with the dungeon(s) I generate on the map, but having an easily-accessible cheat sheet takes some of the fun out of exploring them! Glad to hear the winexe version works! It seems to work fine under 1.4. I generated several maps without issues. Next time it errors out, please capture the output and pastebin it for me. Don't bother scripting the random dungeon sizes. I've already added it! I've also added cookies, and other stuff from 1.4. I should have a small update posted later tonight. It doesn't seam to work on my windows 7 64 bit computer and the command window closes instantly so I can't get the error. Don't run it by clicking on the icon. You need to open a cmd window manually, cd to the folder containing the mcdungeon.exe file and run it that way. This has been tested on Win 7 64 bit.